A (sometimes) weekly feature here on my blog sharing five FRESH random photos (or thoughts or interesting tidbits). While I was out running errands a few weeks ago, I captured several items for the 2018 Seasonal Photo Scavenger Hunt hosted by Mary-Lou on the Patio Postcards blog. 1. 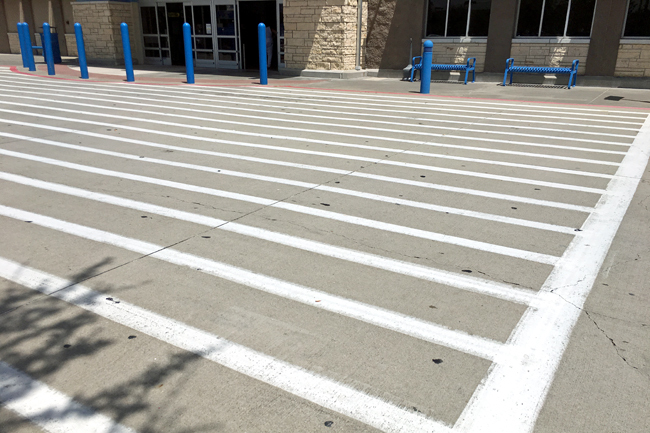 Heading in to Wal-Mart, I noticed these (#2) Stripes. 2. 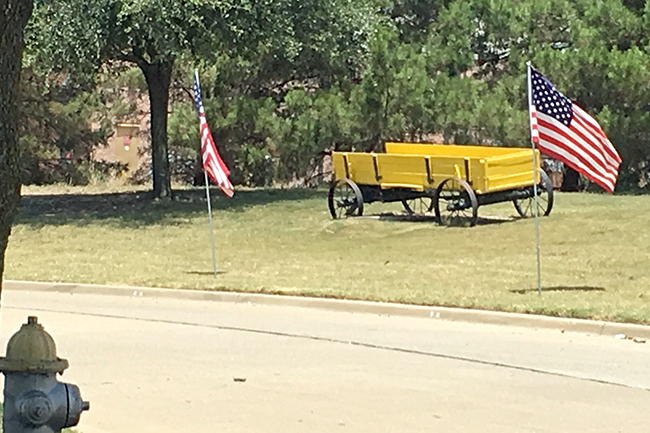 After lunch with Robbie, I discovered this (#20) Mellow Yellow wagon outside a local BBQ restaurant. It might be a little brighter than "mellow," however, the top of the fire hydrant in the forefront of the photo is definitely mellow, right? 3. 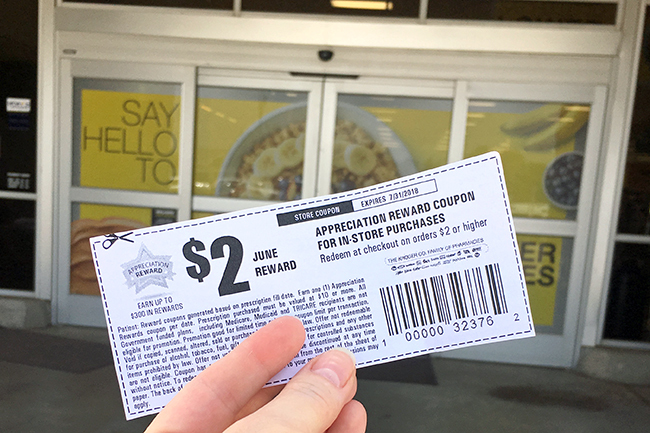 I snapped a photo of (Alternate B) A Coupon To Use as I was heading in to Kroger to do my grocery shopping. 4. 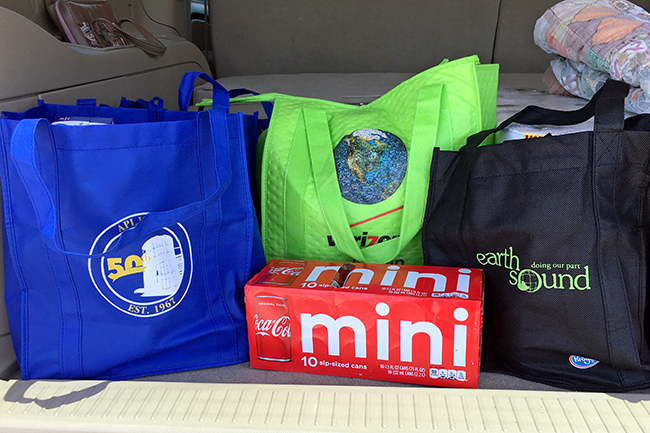 During my errands, I used (Alternate A) A Shopping Bag or two from the stash I keep in my car so I don't have to use the store's plastic bags. 5. 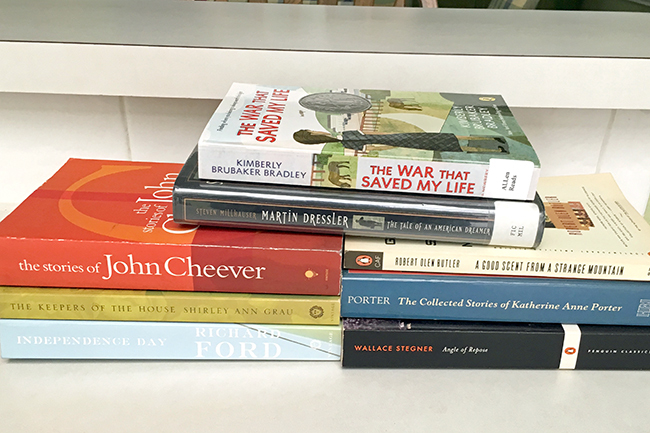 Along with all the household and grocery purchases, I also returned home with (#8) A Pile of … books, of course! It was definitely a productive day for running errands and finding items on the scavenger hunt! You can see more of my finds HERE and HERE. The hunt lasts until September 30, so there's still plenty of time to join in - check out all the details on Mary-Lou's blog HERE. It doesn't seem possible that it's been four years since I created my 50 Things To Do Before I'm 50 List … and there's only ONE YEAR to go!! As I celebrate my 49th birthday today, here are some FUN statistics about my list. * I've completed 34% of the items on the list! That's only 17 items, so I have 33 to go! * Of the 17 items, I completed 3 in 2014, 2 in 2015, 6 in 2016, and 7 in 2017. * I've completed 100% of the items I included to help my spiritual growth, 56% of the travel items, 25% of my stretch goals, and checked off the least FUN item. *Surprisingly, I haven't checked off any of the things I want to learn, although I've made progress on several of them. If you see something on the list below that you want to learn too, touch base and let's take a class together! Here's a look at the full list, with the completed items highlighted and updates on some of the remaining items. I purchased Rosetta Stone but haven't even installed it yet! I've taken a couple of lessons and hope to take a few more this fall. I've read 43 of the 64 items on this list and will be completing the rest by the end of this year. I've decided not to pursue another degree at this point in my life. Robbie and I have talked about this one and decided it's not the best option for the way we currently enjoy traveling. We'll be checking this one off on our upcoming vacation. There's a hot air balloon festival near us in September. If the weather's right, there are tethered balloon rides, and we're planning to check it out this year. I've been working on this one! I'm very close to completing this goal and am currently using the INSPIRATION from a couple of classes as I create layouts for our 2018 chronological album. Robbie gave me two guides (US eastern & western regions) last year, so I just need to use them a few times to check off this goal. I'm hoping to check this one off while we're in Alaska! You may have heard me tell the story of how I’m not very creative and believe that I’m the least creative person in my family . . . at least that’s what I convinced myself of for many years. It took me a long time to realize that my creativity may look different, but it’s definitely a part of who I am. I think we all have beliefs about ourselves at times that are untrue! It may be something that we’ve recently convinced ourselves we are not capable of, or it may be a belief we’ve had since childhood. *I failed the beginner swimming class when I was in early elementary school. *In junior high (that’s middle school for those of you a few years younger than me), I was playing shortstop during PE one day, and a line drive hit me in the eye and broke my glasses! *In high school, I had to sit out of PE for several weeks because I pulled a muscle in my chest while striking out during a softball game. *And, of course, there was a prevailing belief that smart kids weren’t athletic. *I loved to ride my bicycle … especially to the library! *In fifth grade, I tried out for and made the track team; however, we moved to southeast Texas before the season started so I never had a chance to compete. *In my 20s, I went snow skiing, I did aerobic exercises (yes, I had a unitard & leg warmers), and I walked regularly with a friend. *I still enjoy walking, hiking and bike riding. I even go ice skating on occasion. So, while I may not be a competitive athletic, it turns out I am (and have been all along) athletic! So, tell me, are you athletic? What beliefs do you have that might be untrue? Please share your thoughts in the comments. 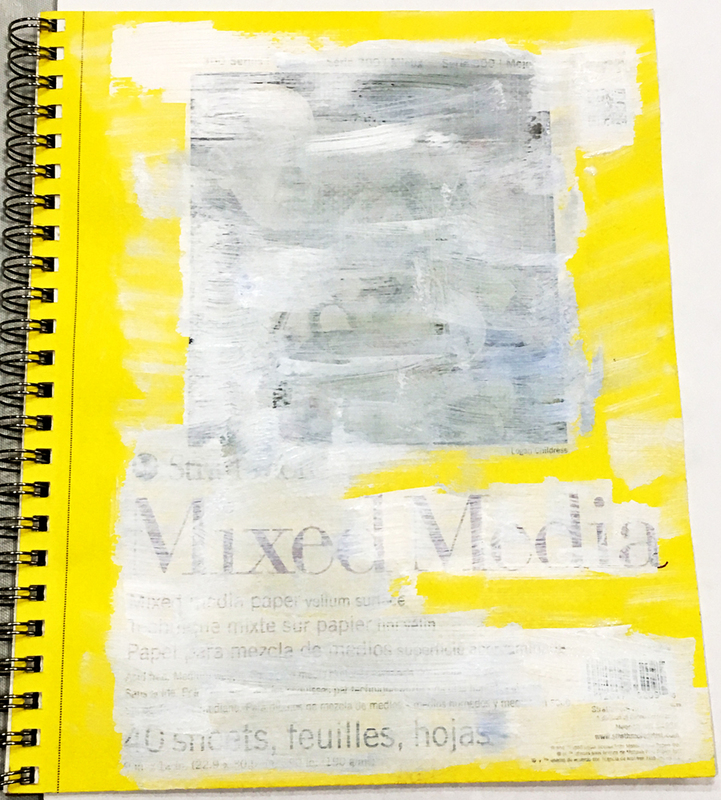 I pulled out the mixed media paper pad I use for art journaling several weeks ago. I've had it several years and have created pages sporadically (most notably HERE and HERE). 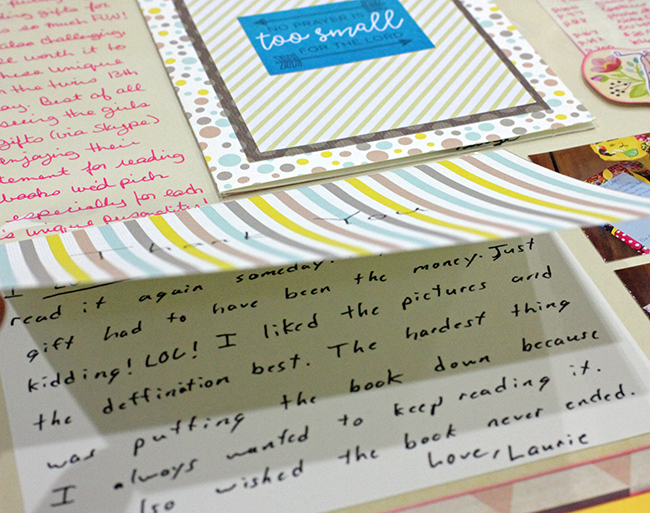 Although the pages are perforated, I've mostly just left them in the spiral pad. Since I mainly art journal just because I'm inspired or I want to try something new, I decided to get a little creative with the cover. I started with some white gesso as I began to cover up the product details. 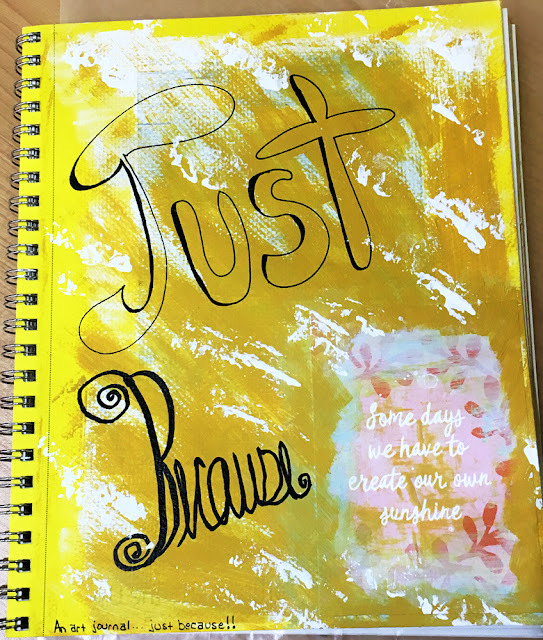 Then I added some acrylic paint, a quote card, and a hand lettered title. This custom cover makes it feel like more of a journal to me! As I was flipping through the pages, I came across a photo I had printed on a piece of printer paper. 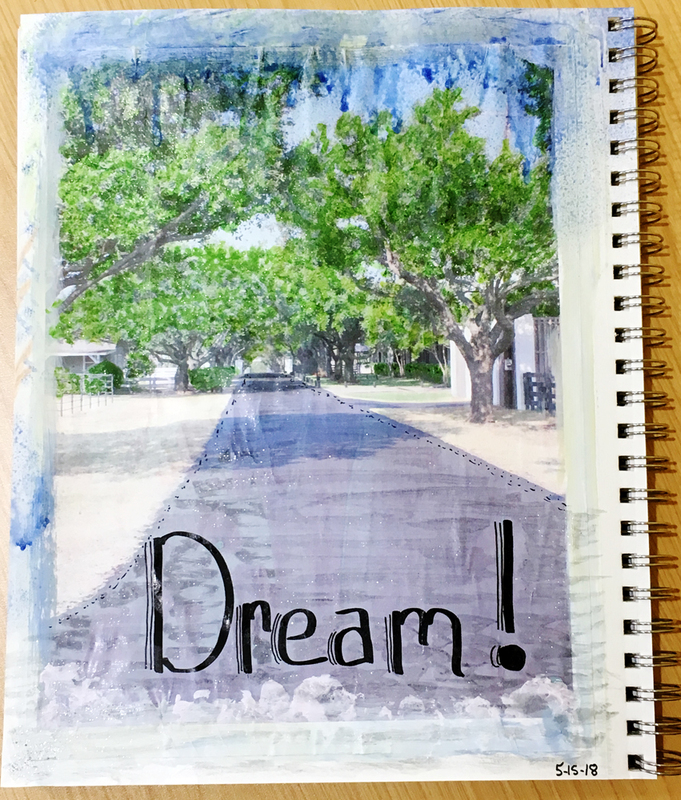 My original plan (a couple of years ago) was to somehow trace or draw a similar photo for an art journal page; however, I decided to simply adhere the photo as the beginning of a page. I painted around the edges and added a title. It's hard to tell from the photo, but I used a green Wink of Stella pen to add shimmer to the leaves and bushes. Do you use these types of paper pads for art journaling? 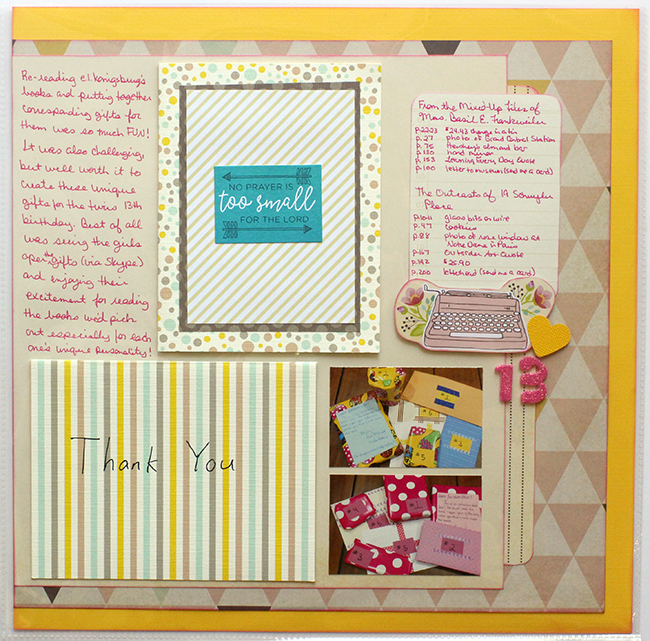 Do you typically leave your pages in the spiral or punch them out and put them somewhere else? I actually completed item number 8 (Travel to Paris) on my 50 Things To Do Before I'm 50 List back in the fall on our trip to Europe; however, I just realized I haven't shared about it here on the blog nor finished the page in my 50 Things Mini-Album. 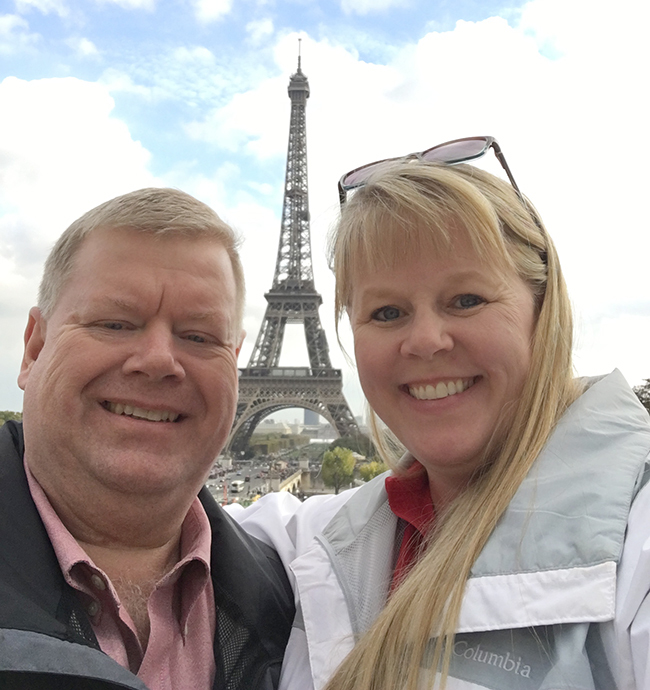 We spent three days in Paris, arriving by Thalys train from Amsterdam about mid-day. 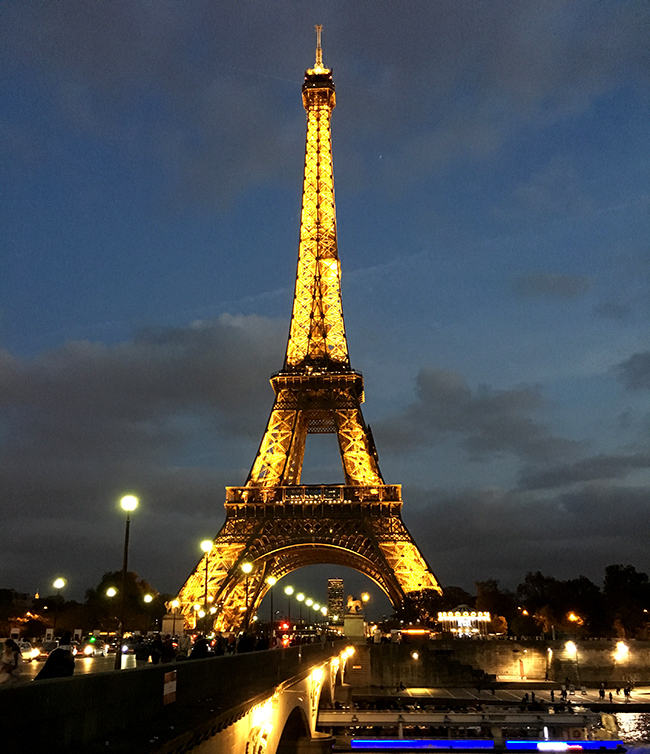 After checking into the hotel, we set out for the Eiffel Tower. After a three-hour wait in line, we boarded an elevator for the ascent to the top. We took lots of photos from the two levels - it was amazing. Evening was falling as we headed back to the Metro station, and we enjoyed seeing the tower all lit up. 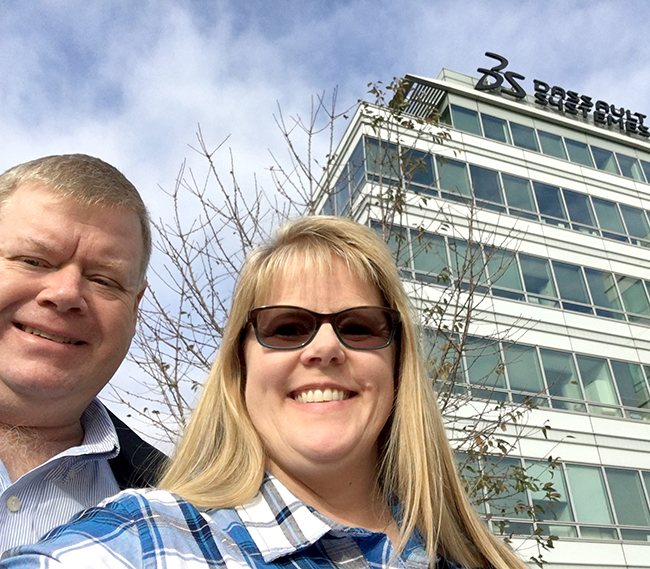 Our second day in France, we headed outside Paris to Velizy to visit the French company that was acquiring the company Robbie works for here in the states (that acquisition was completed earlier this summer). We enjoyed a short tour of the corporate campus as well as a delicious lunch served in one of the private dining rooms. 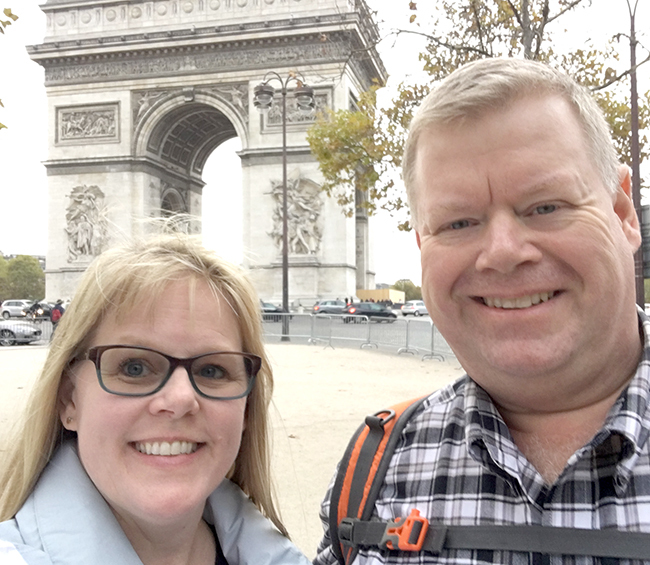 The next day we spent out and about in Paris - we toured Notre Dame, wandered the streets along the river, ate delicious macaroons filled with ice cream, and "marched" to the Arc de Triomphe. 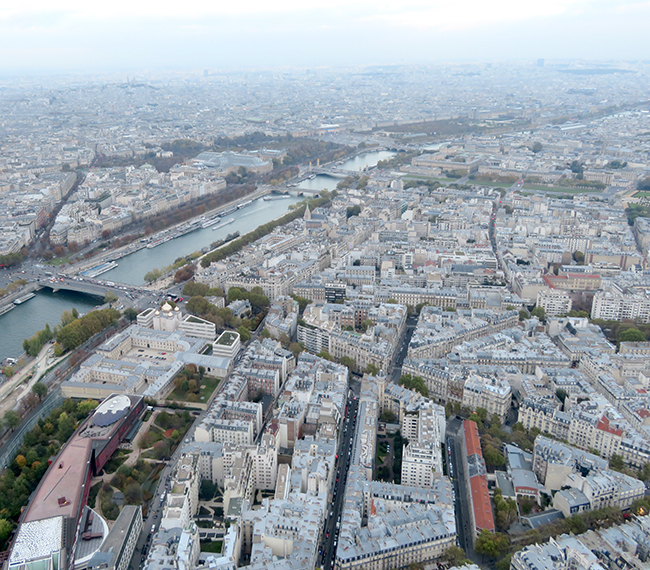 Of course, there are lots more things to do in Paris, so hopefully we'll have the opportunity to visit there again. For now, I've checked this item off my list and added a photo to my 50 Things mini-album. I read 22 books over the past three months - some of them were great, others were ok, and a few were terrible not very good! Some were hardbacks, some were paperbacks, and some were eBooks I read on my Kindle. Some I've already reviewed here on my blog, others I'll be sharing about soon, and the rest are discussed below. 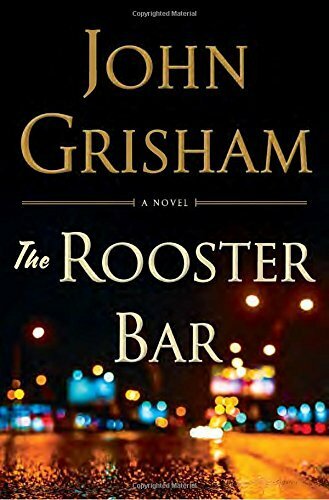 Rooster Bar by John Grisham is the story of four friends who are about to enter the last semester of law school. However, when one of them commits suicide before the semester begins, the other three drop out of school and embark on an adventure to expose the Great Law School Scam (involving a hedge-fund operator who owns a bank specializing in student loans). This book is a well-written page-turner with a satisfying conclusion, although (from the few John Grisham books I've read) it seems that somehow the main characters always seem to get away with something a little shady! 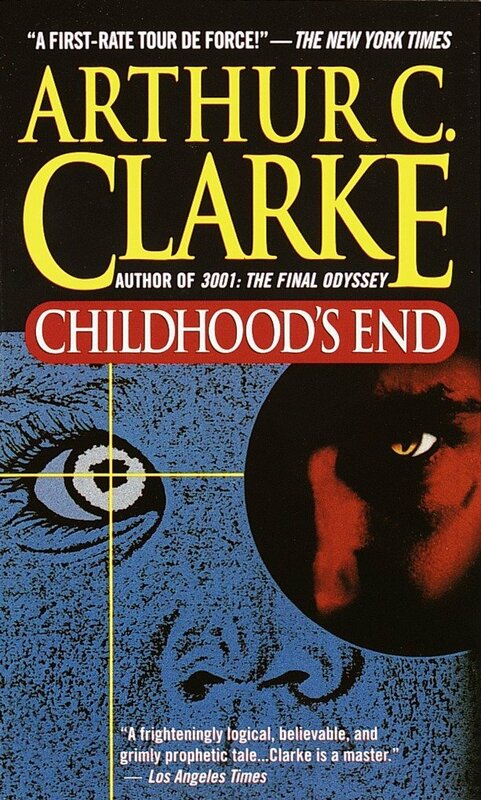 Childhood's End by Arthur C. Clark is an end-of-the-world science fiction classic with giant spaceships and overlords who take over the earth. This is a disturbing book because it shows how the collective minds of our world can be changed in one generation simply by allowing time to pass and old truths and habits and knowledge to be forgotten or replaced. 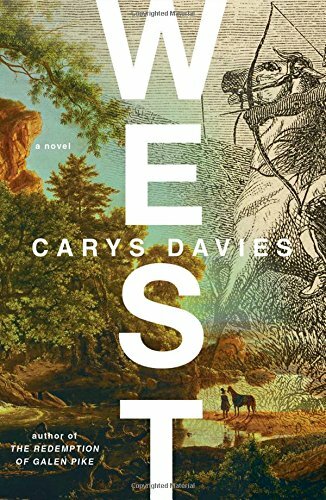 West by Carys Davies was one of the books recommended on the Short List in a Real Simple magazine I picked up a few months ago. 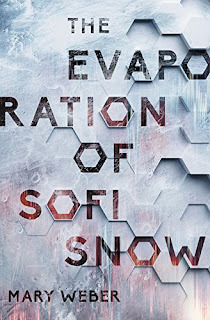 It sounded interesting, but it was a slow read with a very unsatisfying ending. (Note - spoilers in this review!) A widow mule breeder from Pennsylvania heads out west to find some ancient bones he read about in a newspaper. He leaves his young daughter at home with his sister and promises to write to her (which he does but almost none of the letters ever make it back to her). He has some adventures, but he dies along the way. A short book that I don't recommend. Each month, I get an email from Amazon with a list of Kindle First Reads books, and I can choose one free. I rarely read on my Kindle, but every so often I'll click to order one of the free books. Last month, I charged up the Kindle and chose a few books at random to read. 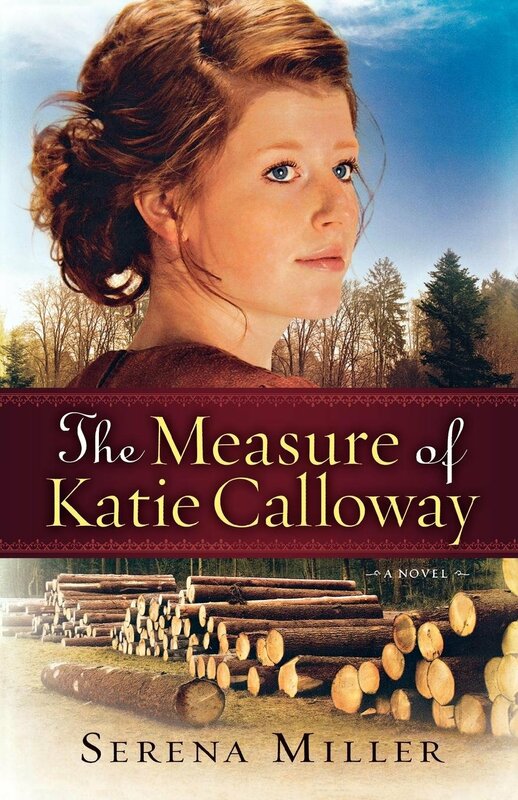 The Measure of Katie Calloway was a good read about a young woman, Katie Calloway, who runs away from an abusive husband. 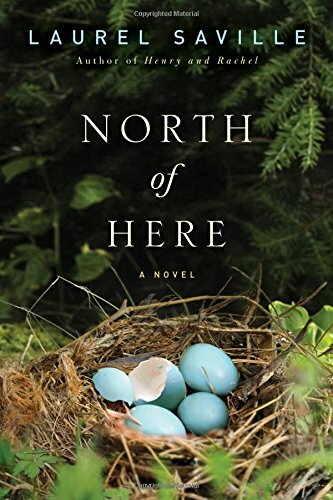 She makes her way north and finds work as a cook in a logging camp for the winter. The camp owner and the loggers love her cooking and become very protective of her (and her younger brother who she cares for). This easy-to-read story has a wonderful ending! The other free book I read was North of Here, however, it was not nearly as good. The story is divided into several sections - the first part is about a young woman who loses her family and finds comfort and refuge with the family's long-term handyman. However, the next section shifts to the story of a young man who buys a farmhouse and starts up a cultish "sanctuary" - the story goes downhill from there and has a terrible ending. 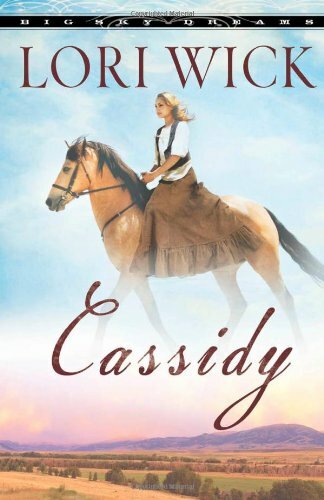 Cassidy by Lori Wick is set in the late 1800s in Montana Territory. Cassidy Norton, the main character, is a seamstress in a small town. She has made friends and a nice life for herself but has a secret that she fears will destroy it all. This is a small easy-to-read book with a happy ending. 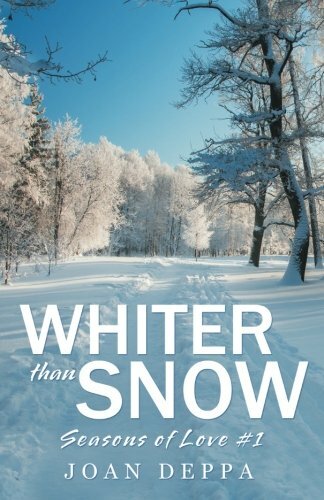 Whiter Than Snow by Joan Deppa is a beautiful story about a young woman, Bonnie, who moves to Michigan and begins works as an elementary school teacher at the school where her friend April also teaches. She meets Brad, who was raised in a foster family and now owns a local ski shop, while she's out enjoying the snow one day. He ends up teaching her how to cross country ski, downhill ski, and (later in the year) canoe. She invites him to church and he eventually accepts Christ as his Savior. They become involved in the young adult church group and become friends with the group leader, Aaron. While I enjoyed this quick, easy read, it was very predictable and almost too good to be true. There wasn't any real conflict to build the story, and most of the story was told through dialogue that seemed unnatural because it was used to explain so much. The happy ending was not a surprise. 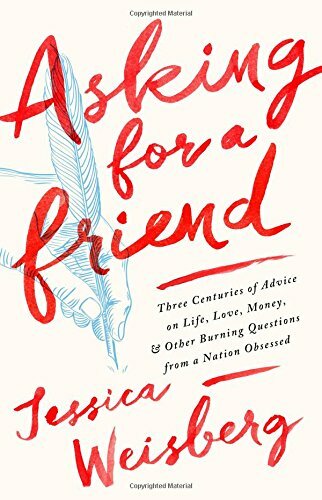 This book (which I read on my Kindle and received free from Booklook Bloggers in exchange for an honest review) is the first in a series. I knew before I even looked it up that the next book would be about Aaron and April. 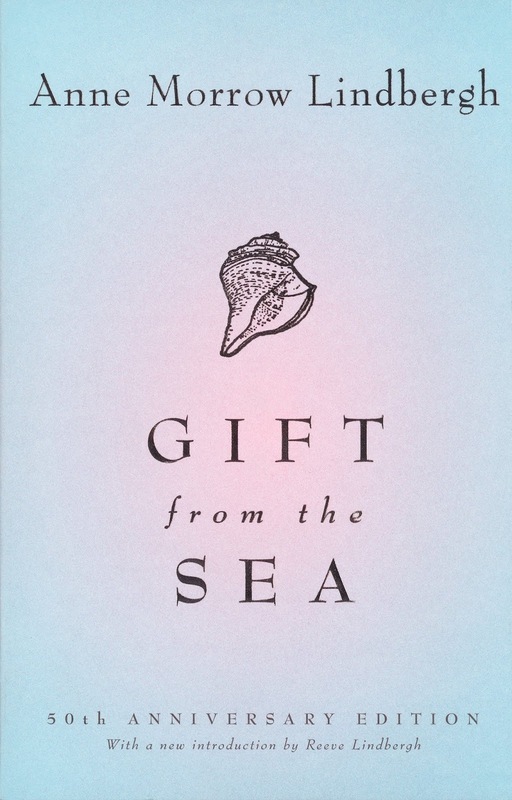 I really wasn't sure what to expect when I began Gift from the Sea by Anne Morrow Lindbergh. I had picked up a copy of the book after reading the The Aviator's Wife a couple of years ago. I knew that Anne had spent time at the seashore and written this book in the 1950s, and someone at our book club meeting mentioned that it was a beautifully written book. I was pleasantly surprised with this short book and the thoughts on simplicity, solitude, contemplation, creativity, etc, that are still relevant to our lives today. 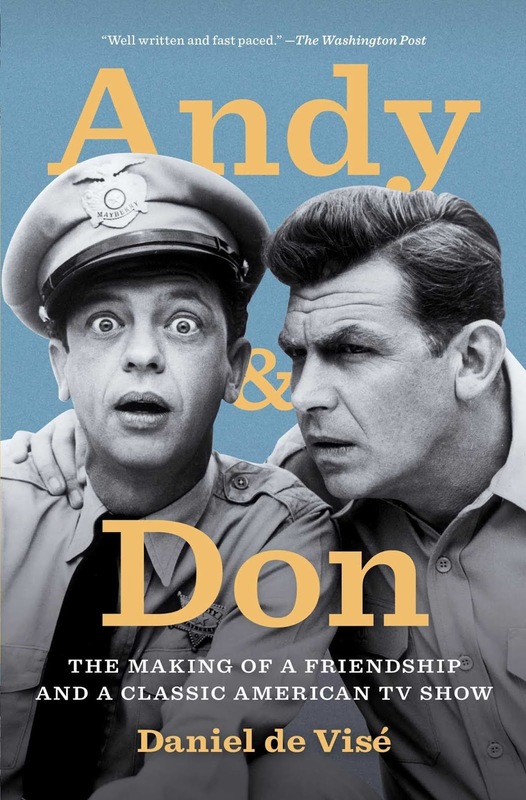 Andy and Don: The Making of a Friendship and a Classic TV Show shares the stories of Andy Griffith and Don Knotts, their friendship and their comedy partnership on The Andy Griffith Show. Robbie had picked up this book a while back and put it on my to-read shelf when he finished it, knowing that I would enjoy it, too. I enjoyed learning about these two men, their backgrounds and home life as well as the ups and downs of their careers and personal lives. They were each married three times, their third marriages were to much younger women. The book is written by Don Knott's brother-in-law, who knew Don personally and also conducted numerous interviews with family and friends and associates of both Andy and Don. It is very well-written and an interesting read. *Ann Landers and Dear Abby were sisters … and rivals. *Benjamin Franklin wrote Poor Richard's Almanack. *Every year Google publishes a list of frequently asked questions. As I learned more about these advice givers, it really made me pause and think about who's giving advice … and why are we listening to them? Very few advice givers have any credentials or training that qualify them as "experts" for giving advice. Yet, many people quote and follow the advice given in books and newspaper columns and (now) websites without ever knowing anything about the advice giver. This book was well-written and easy-to-read (although it could have used more proofreading). 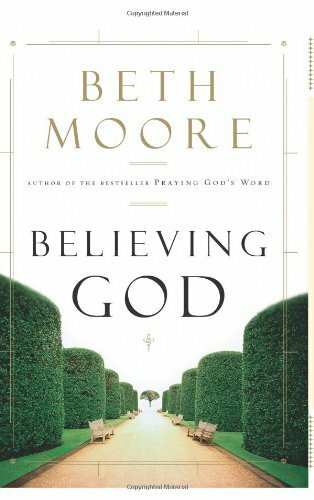 The premise of Believing God by Beth Moore is that there is a difference between believing in God and believing what God has to say in His Word. 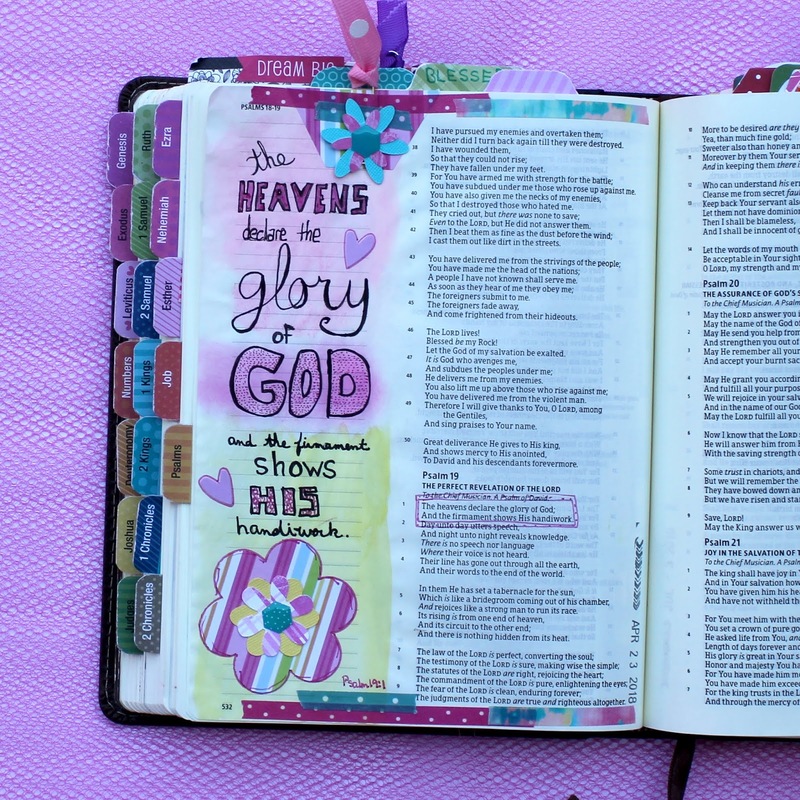 This is a well-written book about learning to trust and believe God. 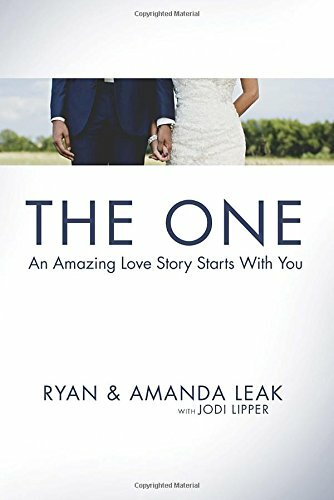 The One: An Amazing Love Story Starts With You is the story of Ryan and Amanda Leak, the young couple who got engaged and married on the same day (and had the video about it go viral!). We heard Ryan preach at a local church service and picked up this (and a couple of other) book. Ryan and his wife share relationship advice in this easy to read book that would be a great gift for a young single or an engaged couple. Well, if you're still with me after all those reviews, which ones have you read? Are there any you'll be adding to your list of books to read soon? 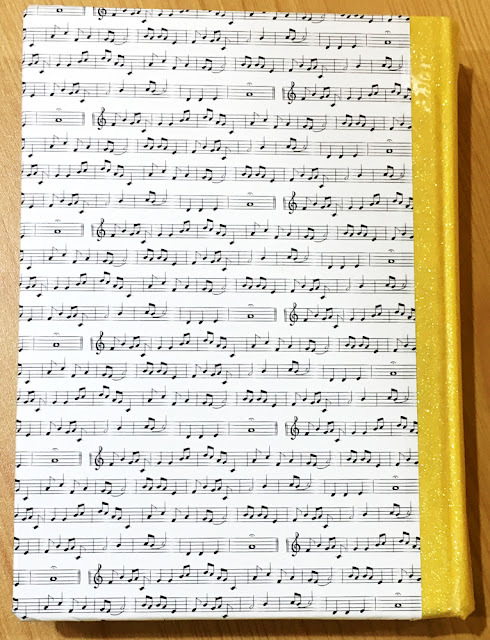 After journaling and illustrating on several pages in an old hymnal I was gifted a few months ago, I decided it was time to decorate the cover. I chose several patterned papers from the Illustrated Faith Bright & Brave collection and love the way this turned out. For the cover, I used the "B" side of the Jesus is My Jam paper and cut a cassette tape from the "A" side. 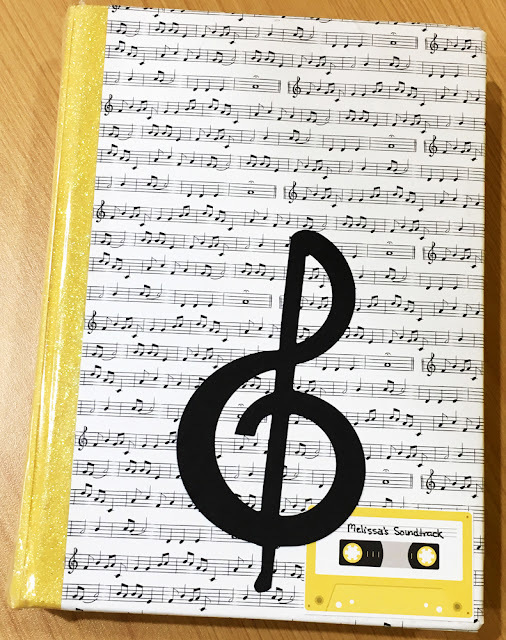 I added a die cut treble clef and titled the cassette Melissa's Soundtrack. 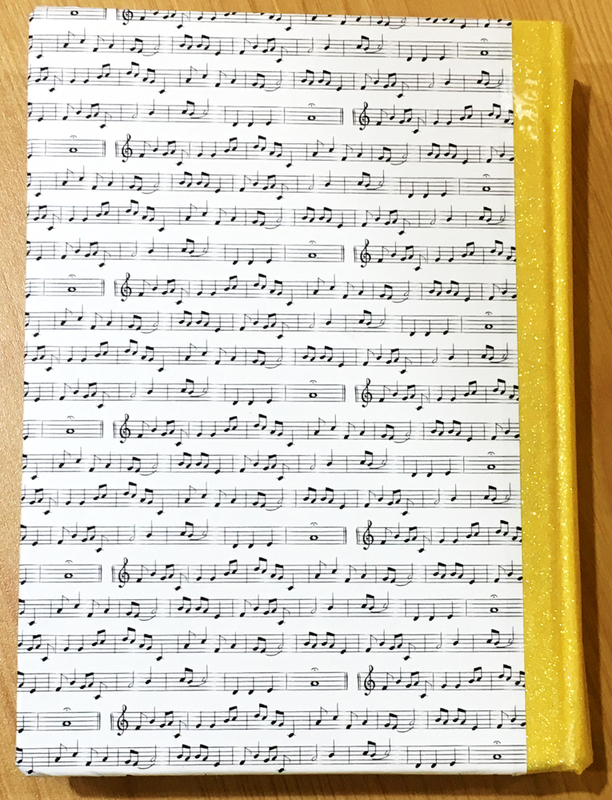 For the spine, I used yellow glitter washi tape, which I covered with clear scotch tape to give it more durability. I used a yellow patterned paper inside the front cover and added more of the cassette tapes and a die cut music note for a title page. 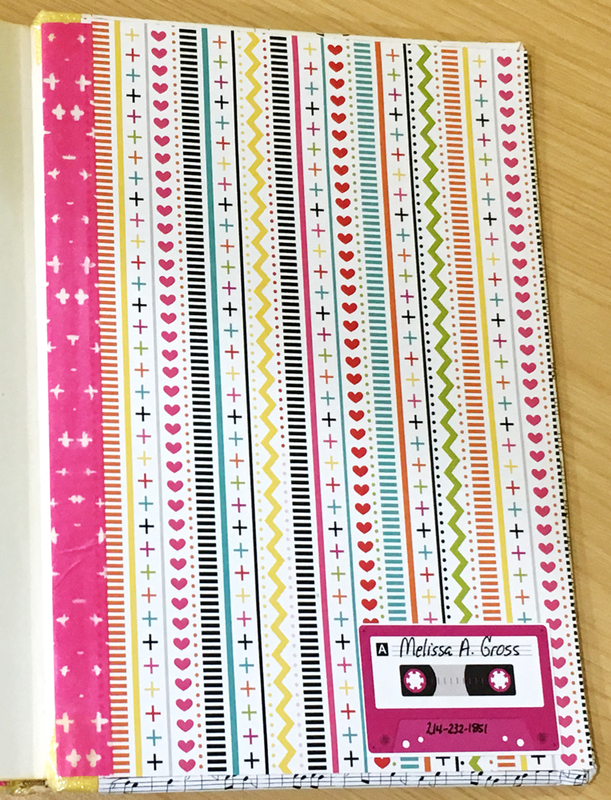 I also added pink Criss Cross washi tape along the inside binding for additional color. The inside back cover has yet another patterned paper from the Bright & Brave line, more washi tape, and a cassette embellishment. 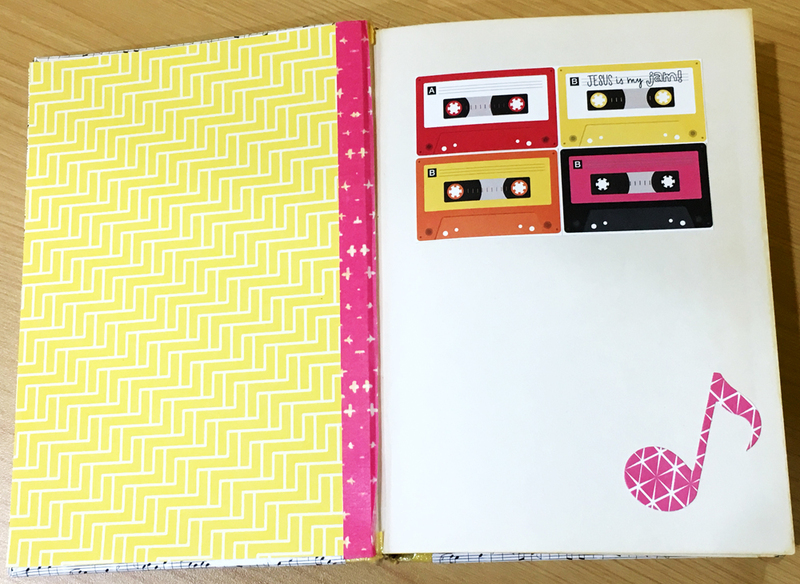 I have to admit my favorite bits from this paper collection are those cassette tapes! 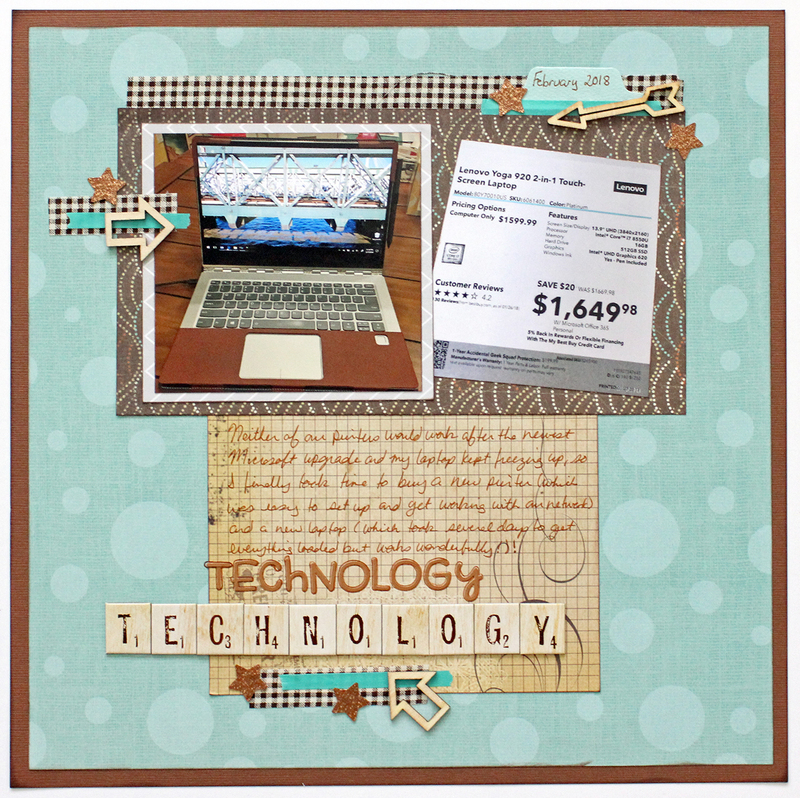 (This is the same line I used for my Make A Joyful Noise Mixed Media Scripture Frame last year.) I still remember when my Grandma sent me my very own tape player/recorder when I was in elementary school. I spent hours recording and listening to cassette tapes. I had a tape player in all my cars until I purchased my current vehicle five years ago! I still have a few of my old cassette tapes, and, yes, we have a player here at home, although we don't listen to them much anymore. Did you grow up listening to cassette tapes? Do you still own any? When I'm driving long distances or out for an exercise walk alone, I enjoy listening to podcasts. It's amazing the number of podcasts available these days, so I thought I'd share five of my favorites today. 1. 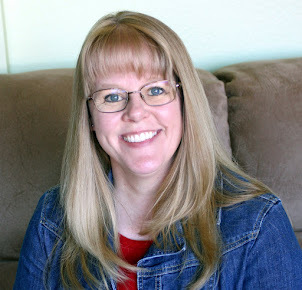 What Should I Read Next with Anne Bogel of Modern Mrs Darcy. Each week Anne interviews readers about the books they love, the books they hate, and the books they are reading now. Then Anne does a little "literary matchmaking" and recommends three books they should read next. The problem with this podcast is that it has the potential to greatly increase the length of my books-I-want-to-read list! 2. Live Happy Now from the editors of Live Happy magazine shares ideas and research on how to live a happy life. I enjoy listening to the interviews with a variety of people about living a positive and healthy life, practices that increase happiness, and ideas for thriving and creating a meaningful life. 3. Getting Things Done provides tips and real-life stories from individuals using the GTD method outlined in David Allen's book, Getting Things Done (which I reviewed HERE). 4. 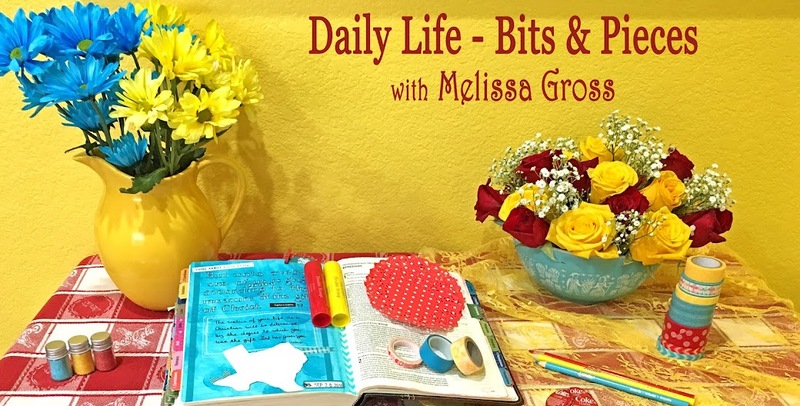 Elise Gets Crafty is a weekly podcast that talks "mostly about creative small business." Elise Blaha Cripe shares her own creative small business adventures and interviews other business owners about their journey and tips for starting and running a creative business. 5. Do It Scared is a new podcast that Ruth Soukup (of Living Well Spending Less) began on April 1 of this year. Each episode is designed to help you "face your fears, overcome adversity, and create a life you love." Do you listen to podcasts? Please share your favorites in the comments and let me know if you're adding any of these to your playlist. 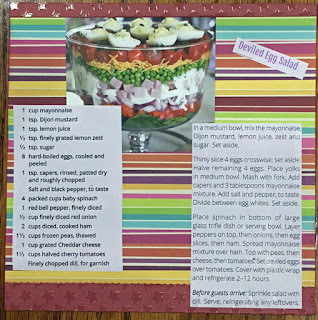 The new deviled egg salad recipe I tried in March was so yummy, I knew it had to go in our favorite recipes album, so I grabbed a few papers from my scrap bin to create a quick 8x8 card. 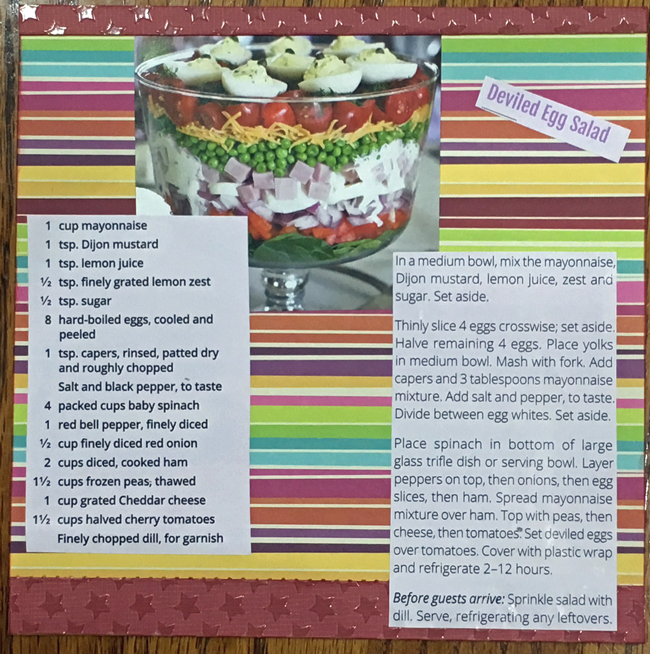 I like the way the striped paper mimics the salad! 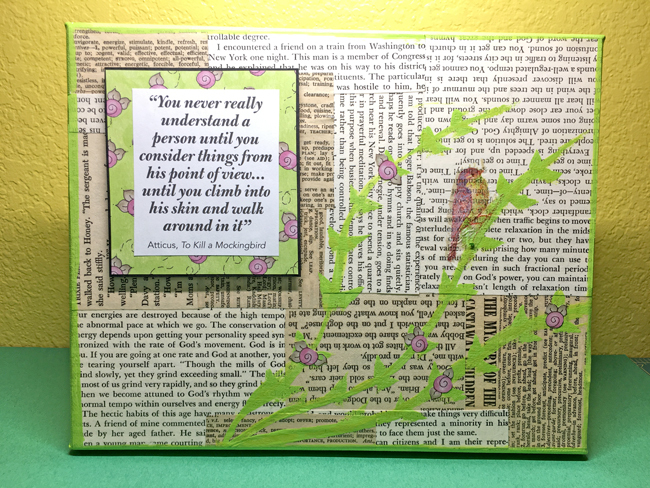 An 8x10 canvas was perfect for a favorite Atticus Finch quote. After covering the background with a variety of pages from old books, I painted the edges and some limbs with acrylic paint. The bird (which I realize isn't a mockingbird) is from a decorative napkin and adhered with clear gesso. At a recent DIY class at our local library, we framed dried flowers in these white Ikea frames. 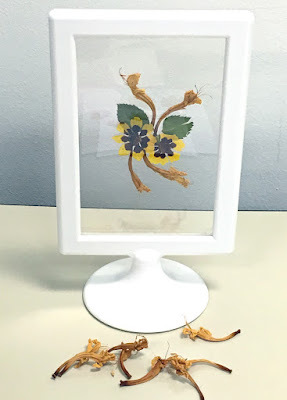 There are two clear plastic pieces that slide out, so it was easy to assemble a flower collage. A drop of clear adhesive could be used to hold the flowers in place, but I simply pressed mine between the two pieces of plastic and slipped them back in the frame. So far everything is staying in place without any problem. What miscellaneous items have you created lately? After reading Getting Things Done by David Allen a couple of years ago, I ordered a copy of the Revised Edition to read as I set up my own "command central." This is an easy-to-read step-by-step approach to getting organized and setting up a system that keeps your mind free (rather than trying to hold all the things you need to remember), thus reducing stress and increasing productivity. The thing I appreciated most about the book was the fact that I was already doing some of the things that were recommended; however, I've now incorporated more of the process so that I have a better system for tracking projects and ideas and things I might want to do someday. Two of my favorite aspects of the GTD (Getting Things Done) System are the Two Minute Rule and the Weekly Review. The Two Minute Rule basically says that if something can be done in two minutes or less, do it now rather than putting it off or scheduling it for later. This is such a simple rule and seems pretty intuitive; however, I've caught myself several time putting off something that can just be done and over with in less than two minutes. The Weekly Review is designed as a time set aside each week to review and update our calendar, next action lists, project files, etc. I've been doing something similar for many years - updating my calendar and preparing the next week's calendar and to-do lists, but I've incorporated some additional things after reading this book. I now process the texts and notes and messages on my cell phone as well as my email pending items during this time. I have a checklist to be sure I've reviewed everything and am all ready for the week to come. 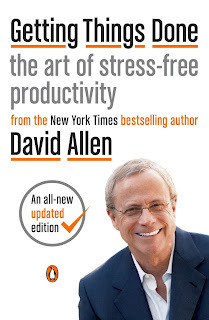 I highly recommend this book for anyone who wants to have a system for getting things done in a productive way and creating a stress-free (as much as possible) life! 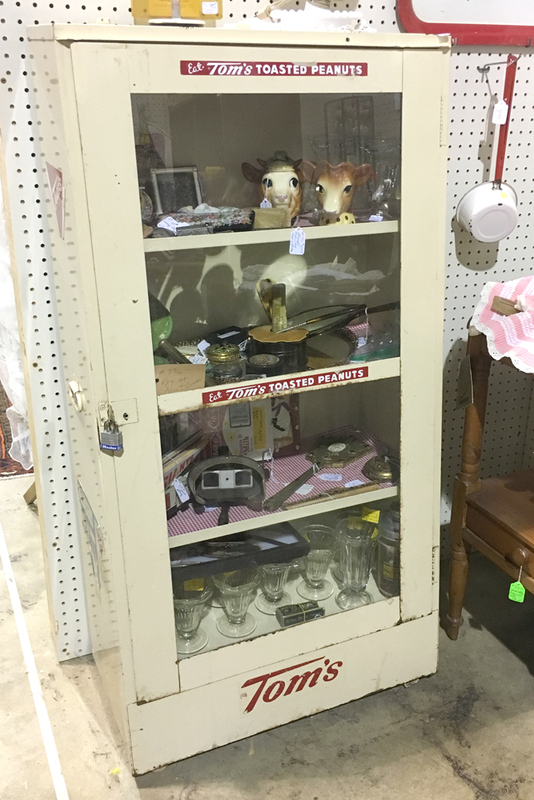 Yesterday I decided to go on an INSPIRATION outing to a local antique mall, just to stroll through and check out the eclectic offerings. 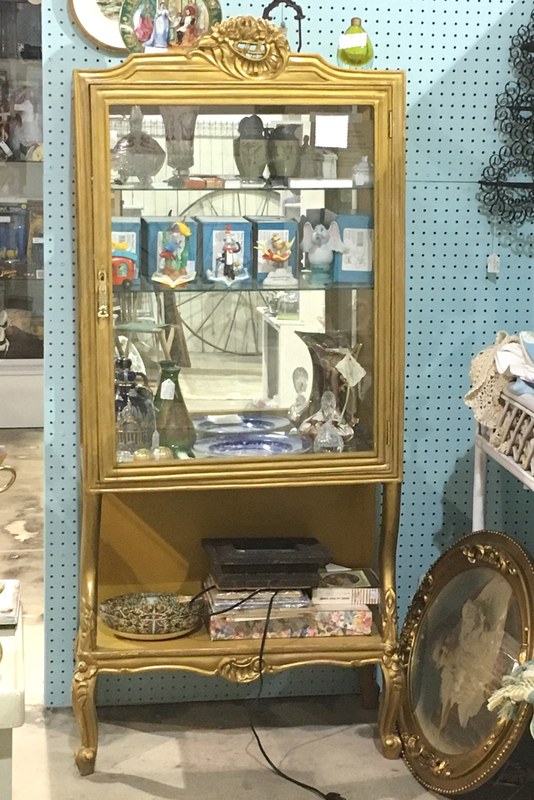 I always enjoy seeing the different display styles in the various booths, particularly when they involve unique shelves or old display cases. 1. 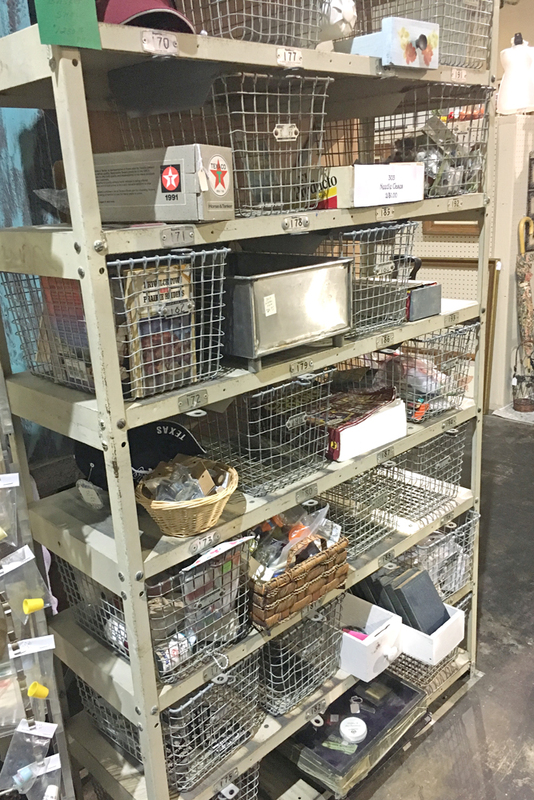 My favorite from yesterday's trip was this old metal locker shelf with some of the original wire baskets. I think this would be great in a garage or in a craft room filled with vintage paraphernalia. 2. This old Tom's Toasted Peanuts case was in pretty good shape, but I wondered why it had a lock loop - were the peanuts that popular? 3. 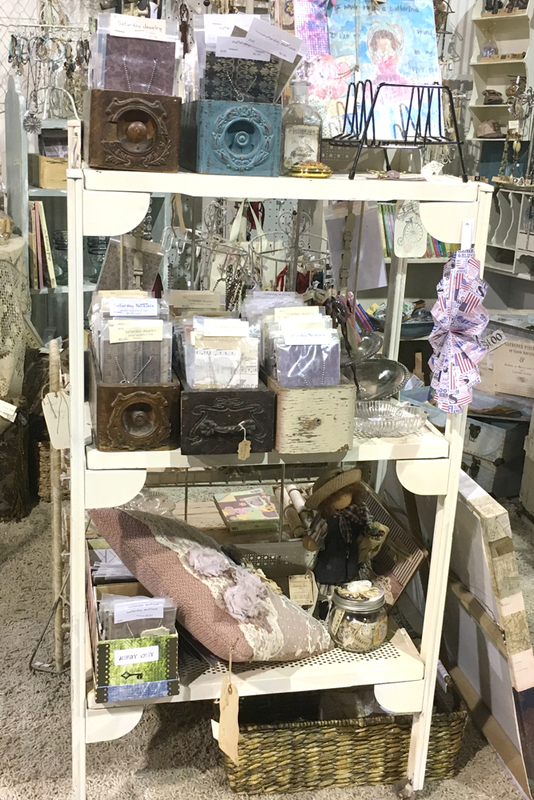 This metal shelf wasn't all that special, but it holds a nice variety of sewing machine drawers filled with handmade jewelry. 4. This piece was labeled as a "French Vitrine." I have to admit that I had to look up the word "vitrine" to discover that it means "a glass display case." I don't believe I've ever heard that word used, although surely I've run across in it my reading at some point. Did you know what it meant? 5. 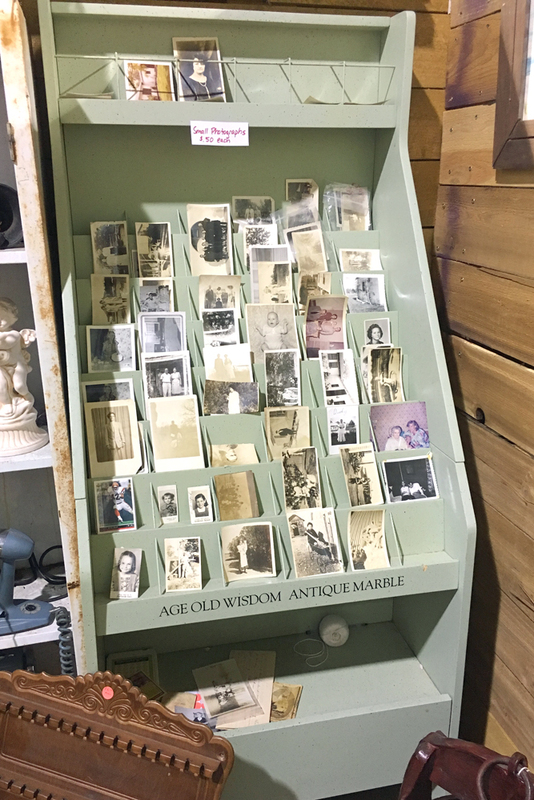 A bunch of old black & white photos were displayed on this next case that may have originally been used to showcase old marble tiles. I wonder what stories these photos would tell if there had been journaling to go along with them! Which of these display cases do you like the best? What would you display on it? Along with the divided page protector of bits & pieces, I created three layouts with photos from February of this year. After numerous Microsoft updates that continued to slow down my old laptop and the fact that there were no updated drivers for our last printer, I purchased a new printer and a laptop (that I am thoroughly enjoying!). As technology changes so quickly, I decided to include a photo of the new laptop as well as the features and pricing on a layout. I think it will be FUN to look back several years from now and see what has changed! 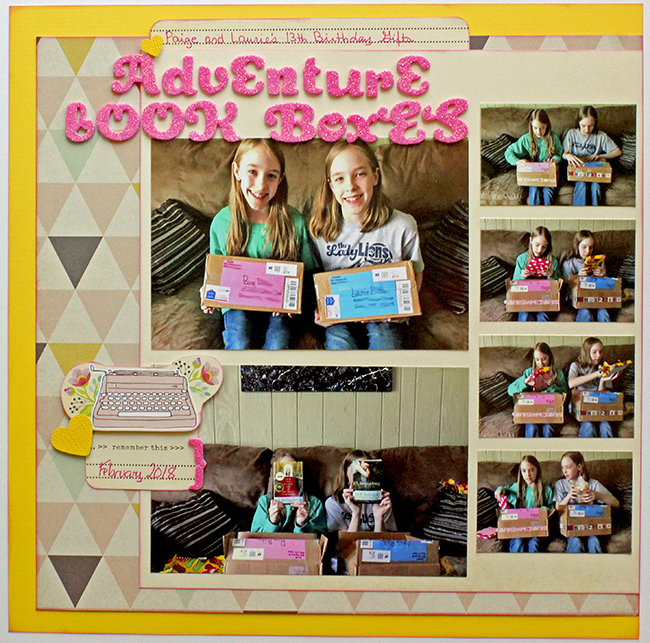 I needed two pages to record the story of the Adventure Book Boxes I sent for my twin nieces' 13th birthday. The first page showcases the photos my sister took while they were opening the gifts. I slit the page protector so the front of the cards are outside the page protector and can be opened to read the sweet notes the girls wrote. The final layout showcases photos from the February Bible Journaling Workshops I hosted here at our home. During those classes, we used doilies to add illustrations in our Bibles about the love scriptures we discussed, so I used a couple of layered doilies as embellishments on this page. I've purged, edited and printed some photos from March and am hoping to get those scrapped over the next week. 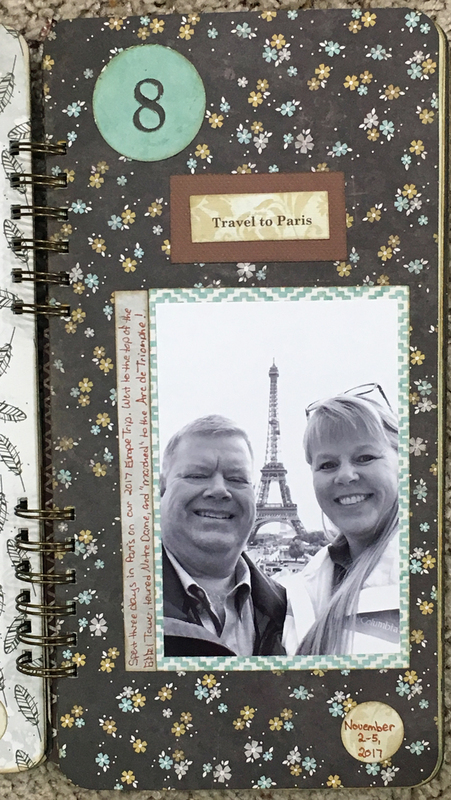 How are you coming along with your 2018 scrapbooking? The setting, whether real or imagined, of a book often plays an integral part of the story. Sometimes the setting provides the backdrop while other times it's almost like another character. 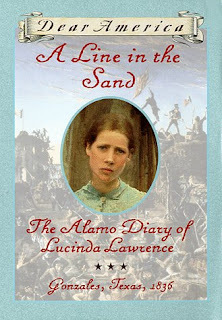 A Line in the Sand: The Alamo Diary of Lucinda Lawrence is part of the Dear America series of historical fiction for older girls. These books are written in diary form from the perspective of young girls living in various periods of history. 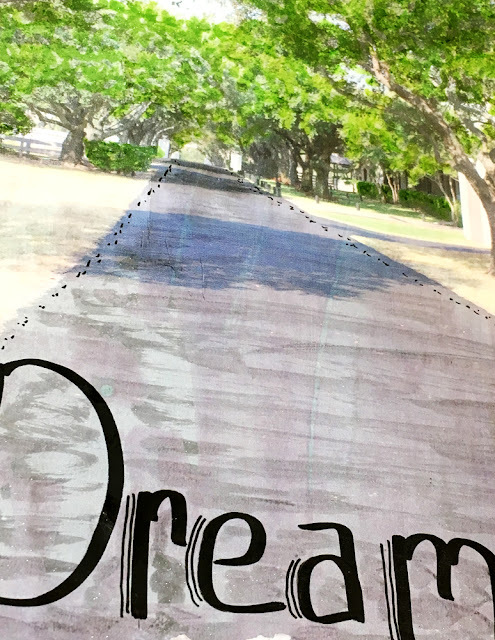 Line in the Sand tells one girl's story of living in Gonzales when Texas was still a part of Mexico. When Santa Anna's troops arrived in Gonzales to retrieve a cannon, it effectively started the war for Texas independence as the Texians told them to "come and get it (the cannon)!" The story covers the battle of the Alamo and continues through the retreat and the final victory at San Jacinto. The setting of this story is integral to the story as it puts Lucinda in the main areas of conflict as Texas colonists fought for independence from Mexico. 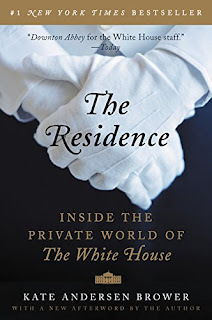 The non-fiction book The Residence: Inside the Private World of The White House is filled with information the author obtained from interviews with former ushers, butlers, maids, chefs, florists, doormen and other staffers who worked in The White House. She also interviewed former First Ladies Laura Bush, Barbara Bush, and Rosalyn Carter, along with several children of former Presidents Nixon, Johnson, Ford and Reagan. This was a really good read that was well-written, although quite a few anecdotes were repeated. The chapters are grouped by categories: "controlled chaos, discretion, devotion, extraordinary demands, dark days, sacrifice, race & the residence, gossip, heartbreak, etc." The book paints these workers in a beautiful light, very dedicated to serving the First Family (whoever that happened to be at the time). Many of the workers were in the White House through several administrations. Obviously the house itself, with its history and heirlooms and public tours and security and importance plays a huge part in their stories. There were interesting stories and tidbits about the First Families - President George H. W. & Barbara Bush were among the favorites of many of the workers. There were some difficulties during the Reagan years as Nancy Reagan had the occasional tirade, was a perfectionist, and was very protective of her husband, President Ronald Reagan. There were apparently lots of arguments between President Bill and Hillary Clinton, along with lots of stress during the Monica Lewinsky affair. On Inauguration Day, the staff is responsible for moving the outgoing family's possessions out of the White House and the new family's possessions in during the few hours of the ceremony and festivities. Several staffers shared that the easiest move was when President George W. & Laura Bush moved in as they didn't bring much of their own furniture and they were already familiar with the residence. The book was written during the time President Obama was in office. This was an enjoyable read with interesting peeks into life inside the White House, some of which I'd glimpsed previously in Laura and Barbara Bush's memoires of their years as first ladies. What settings have been important in the books you've read lately?